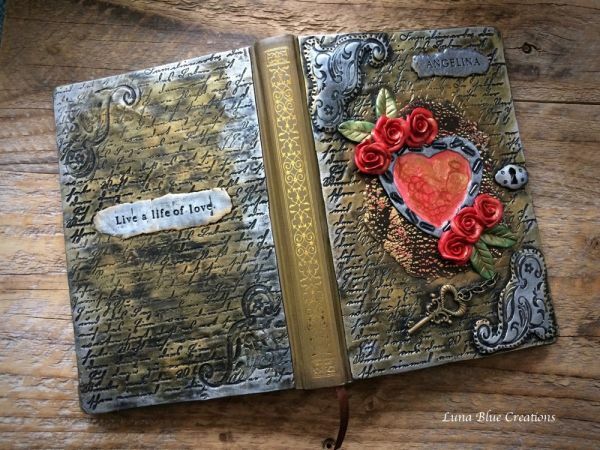 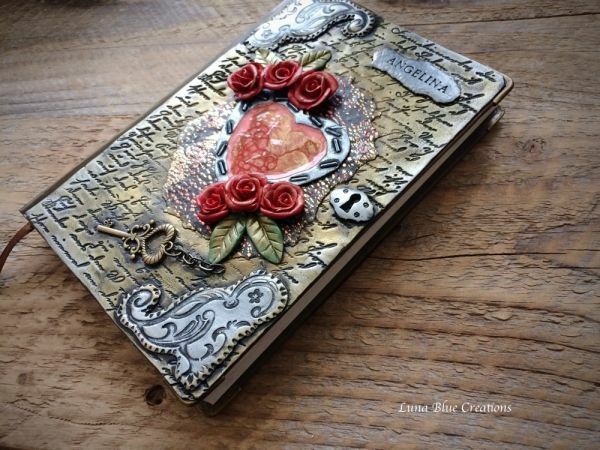 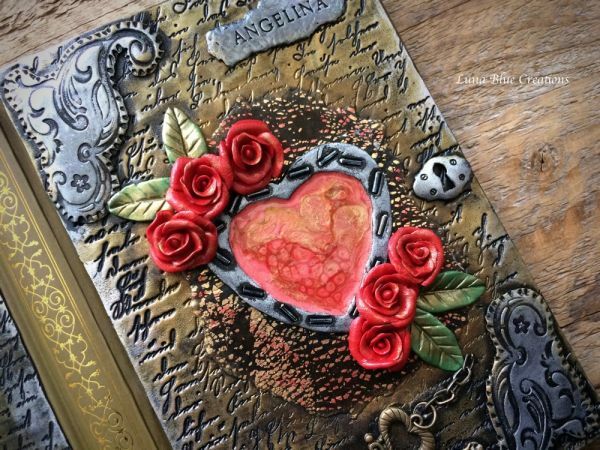 Metallic Heart Polymer Clay Personalized Journal/Sketchbook. 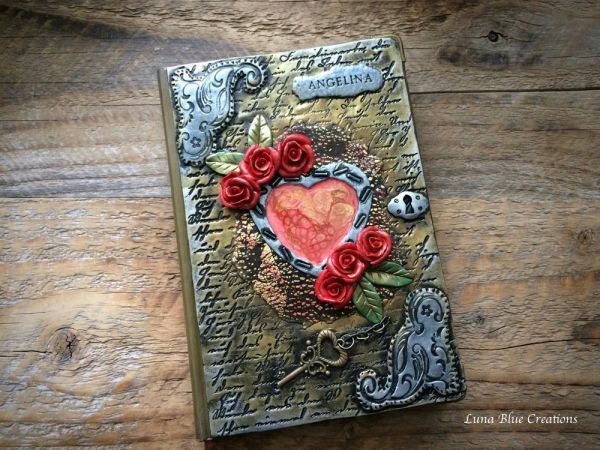 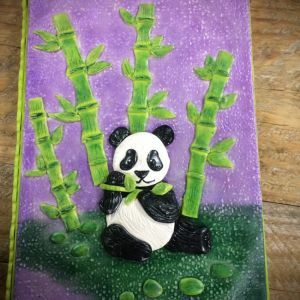 Personalized Heart Polymer Clay covered Journal/Sketchbook. 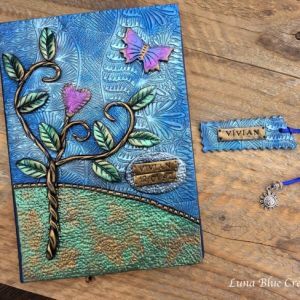 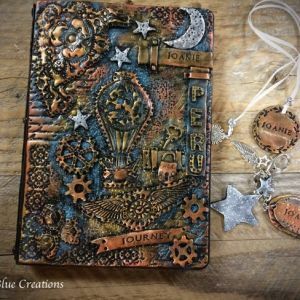 Journal is metallic inspired with heart. Heart is painted with pebeo fantasy paint. 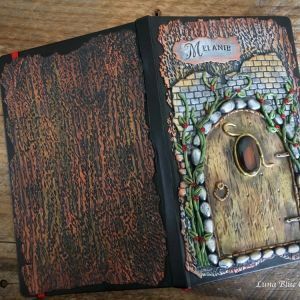 I also used gold leaf for crackled effect. 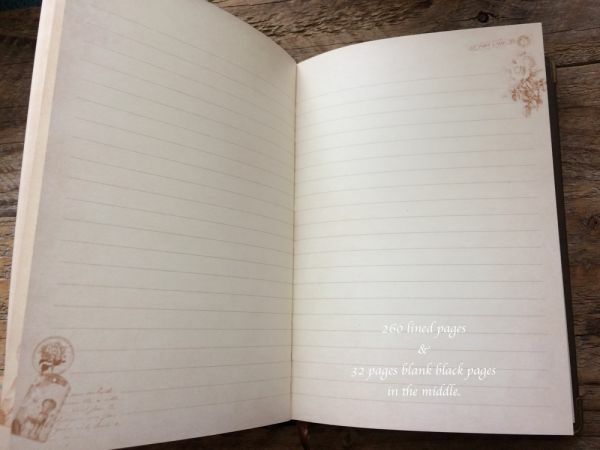 Sketchbook and Journal comes with monogram bookmark.